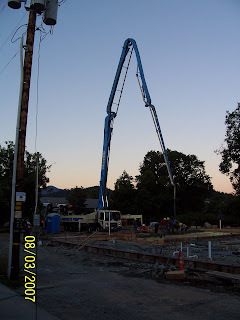 Grants Pass | Batzer Construction Inc.
We’ve added several “projects in progress” photos to our albums on the Batzer Construction Facebook page. Here’s some of the projects we’ve recently added to the albums, click the photos below to see more at each project. The Chamber has put out another great newsletter and we’re excited to see a little piece about Russ Batzer has made pg 8! The Oregon-Columbia Chapter of the Associated General Contractors has elected Russ Batzer to serve on the 2010 board of directors. Russ is president of Batzer Construction in Medford, Oregon, and he’s been involved at AGC since 1998. Since 1920’s, the AGC Oregon-Columbia Chapter has served as the voice of the commercial construction industry. The association provides its members with a forum for exchange of ideas and services designed to enhance the professionalism of the construction industry including workers’ compensation and health insurance; legislative and governmental representation; safety and loss control consulting; training and apprenticeship programs; and education and pension programs. The chapter also sponsors the AGC University, which provides professional development training to the commercial construction industry. Batzer Construction is pleased to support Rogue Winterfest! This year Batzer Construction is donating a playhouse for the silent auction fundraiser at Rogue WinterFest. Proceeds support children, adults and families with mental health needs at Options for Southern Oregon, Family Friends, and SOASTC. Rogue Winter Fest is a fun filled 5 day event with decorated trees, caroling, and several types of entertainment. The event includes a charity auction. One of the highlight items for the auction are custom designed playhouses. This year Batzer Construction, Southern Oregon’s “Business Builder” created “The General Store” – hours of fun for the young entrepreneur to play pet store, grocer, or drive thru restaurant. Details include a drive thru window, changeable store signs, a menu board, shelves loaded with groceries, grocery cart, pet toys, cash register, paper bags and lots more! It’s everything a young business owner needs to establish a successful small business. The booth was designed by architect Gary Caperna, and built by the Service Division of Batzer Construction. The Service Division specializes in helping business clients with maintenance, repairs, and renovations. Building the General Store, was right up their alley! All events are held at the Evergreen Federal Bank’s Bear Hotel in Grants Pass, Oregon.